If you're a pet owner, coming home from a long day at work or school to find your pet up to some real shenanigans is something you're well acquainted with. This includes getting them out of a tight spot or cleaning up a huge mess. If this sounds familiar, you'll feel better after seeing other people's pets and their laughable moments. After seeing cats that defy physical space and dogs that steal sandwiches, you'll laugh at your own pet's penchant for getting themselves up to no good. Here are 10 dogs and cats whose antics have cost them their dignity and captivated the Internet. Cats have a tendency to do weird stuff, like squeezing themselves into spaces where they don't really belong. If they're all in, it's all good. Take this cat, for example, who doesn't look ridiculous or anything. We can all think of a few spots in our home where we have to keep doors shut or put up barriers so that our pets don't go making messes. 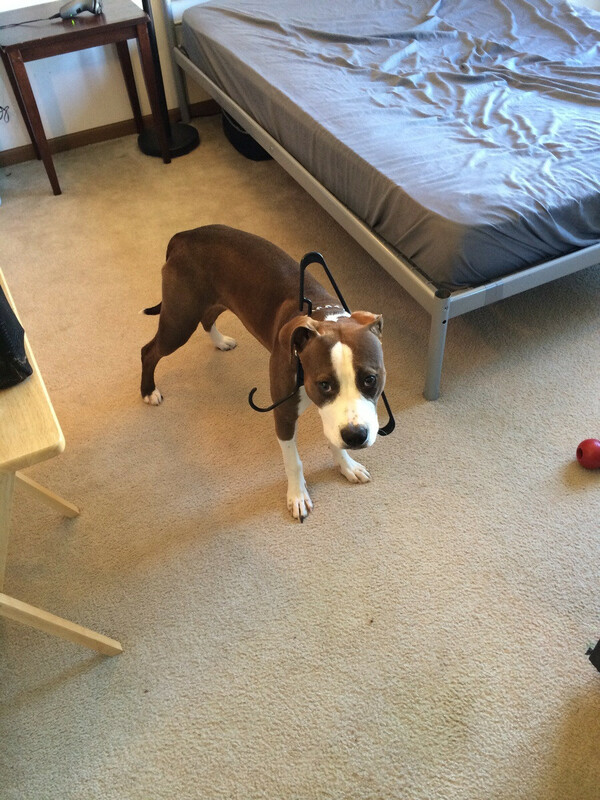 The closet is definitely on this owner's list, seeing this dog's personality. Pet-shaming is an emerging trend across the Internet, where disgruntled owners post photos of their pets alongside a piece of paper detailing the naughty thing they did to deserve the shame. This cat looks pretty indignant about the carpet snafu. Ever had a moment where you really don't know how your pet got themselves into such a big mess? Just looking at this photo may bring up feelings of embarrassment and sympathy — for both the owner and the dog. Remember the thing about how cats try to put themselves in small spaces? Add bagel holes to that list. That cat is never going to live this photo down. A stolen sandwich isn't that funny, but this dog's facial expression definitely is. No more Subway for this pug, who looks like he's about as big as the sandwich he gobbled down. 7 - Who Am I? Believe it or not, our pets ask themselves the same existential questions we ask ourselves every day, like "What am I doing with my life?" or "What is my purpose in this world?" Take this cat as a prime example, who after failing to follow instinct has some soul-searching to do. The best thing about your pets losing their dignity is that you can take funny photos to share with the world. This dog's encounter with an empty soda box is definitely LOL-worthy. Dogs don't have the exclusive on doing silly, but dumb things. This photo turns the phrase "the cat's out of the bag" from figurative to literal. Hey, this dog was just trying to pitch in with the household chores — she can't help it that the trash bag had a few tasty treats. While our pets do some crazy things that drive us crazy and lead us to sharing our frustration on the Internet, there's one thing we can't forget — we love them all the same.